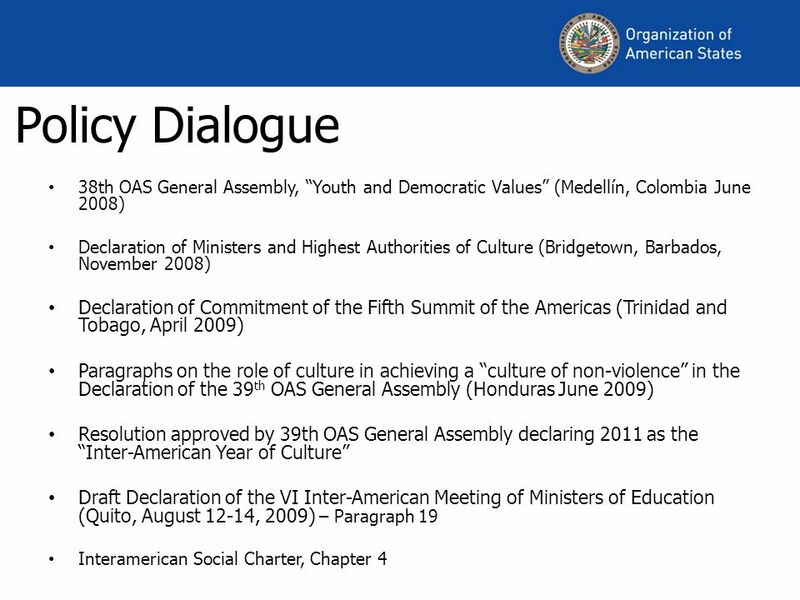 4 Quito Declaration, Ministers of Education … 19. We recognize that the study and practice of art, culture and sports strengthen identity and personal development, forge better interpersonal relations, develop a greater sense of social responsibility, increase discipline, and enhance the interest in learning. We encourage the promotion of the inclusion of cultural, artistic, and sporting contents and activities in secondary school study programs. 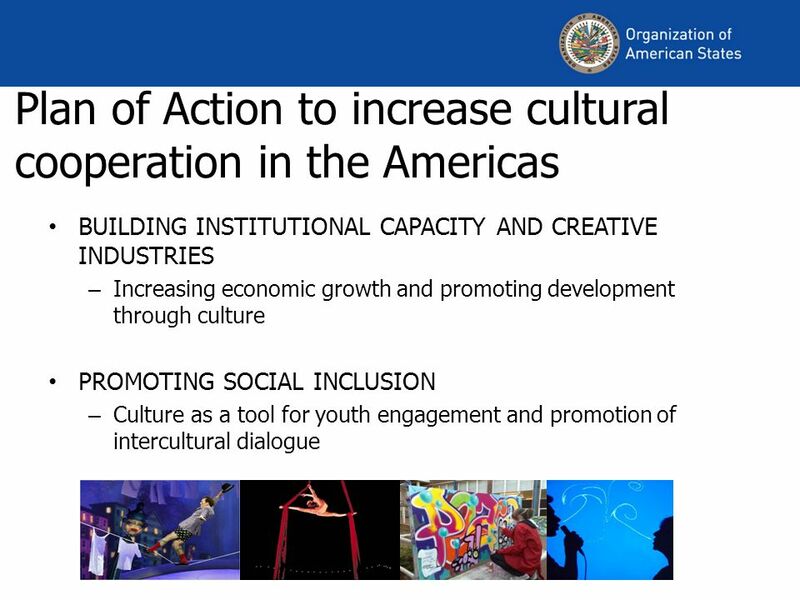 We support the efforts of the CIE to collaborate with the Inter-American Committee on Culture (CIC) in designing initiatives that promote creativity and strengthen cultural learning for youth through the education system, pooling their experiences and social backgrounds for dialogue and exchange with others. 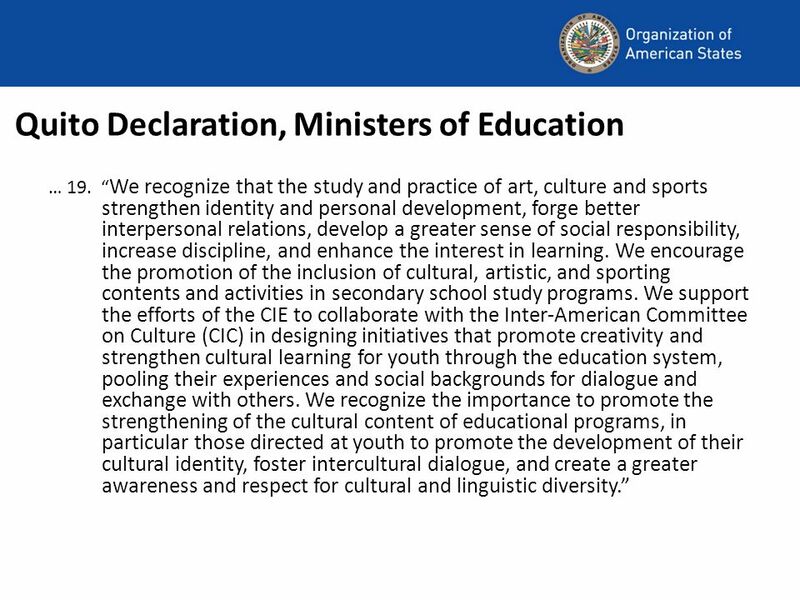 We recognize the importance to promote the strengthening of the cultural content of educational programs, in particular those directed at youth to promote the development of their cultural identity, foster intercultural dialogue, and create a greater awareness and respect for cultural and linguistic diversity. 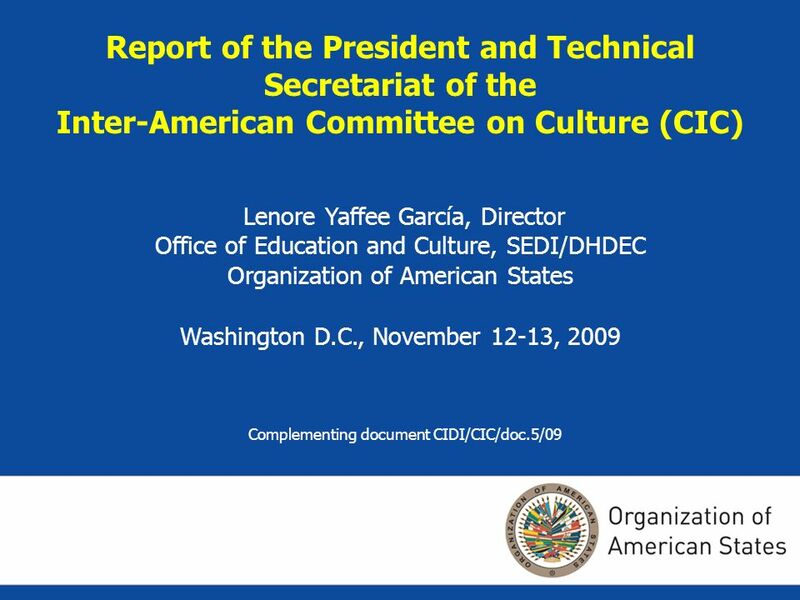 Download ppt "Report of the President and Technical Secretariat of the Inter-American Committee on Culture (CIC) Lenore Yaffee García, Director Office of Education and." THE ROLE OF UNESCO NATCOMS Dr. Yvonne Donders Faculty of Law. 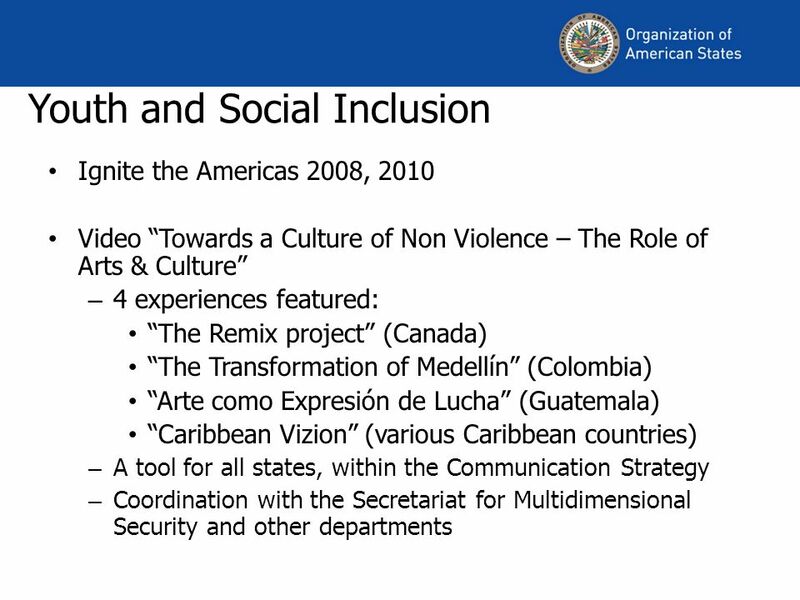 FIRST MEETING OF CULTURAL OBSERVATORIES OF THE AMERICAS Washington, D.C., August Participants Sistema de Información Cultural de México Sistema. CITEL September / 2009 Inter-American Telecommunication Commission. Shaping Quebecs Agenda 21 for Culture Culture Today Tomorrow. 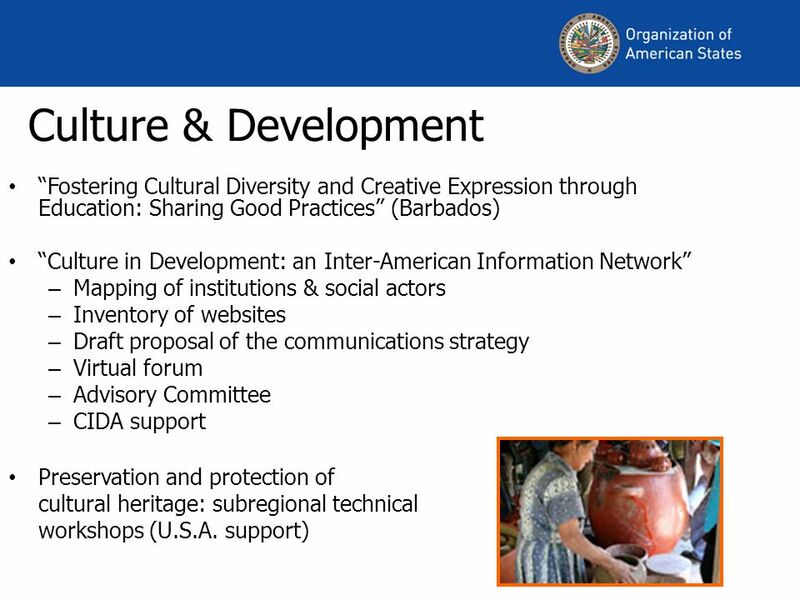 REPORT TO THE XXI INTER-AMERICAN CONGRESS OF MINISTERS AND HIGH-LEVEL AUTHORITIES OF TOURISM SEPTEMBER 5-6, 2013 Culture and Tourism Section, Department. 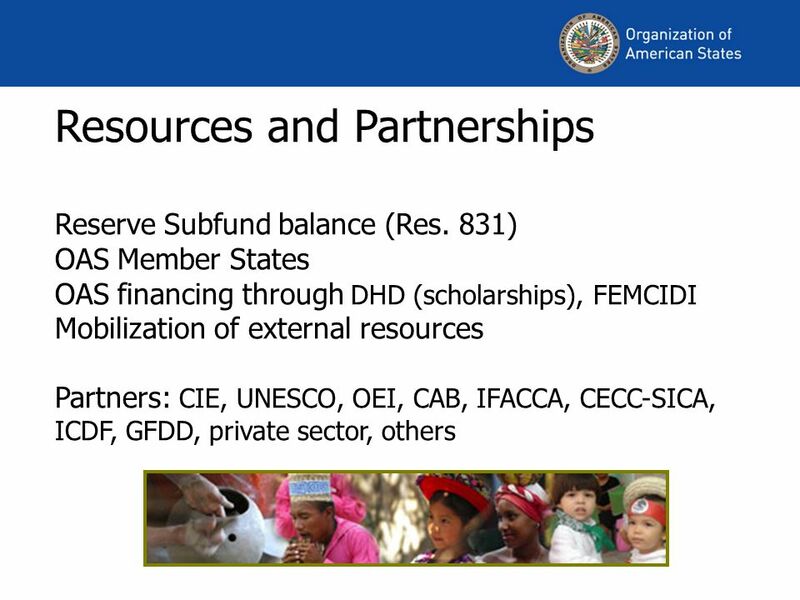 Financing of OAS Activities Sources of cooperation Cooperation modalities Cooperation actors Specific Funds management models and resources mobilization. 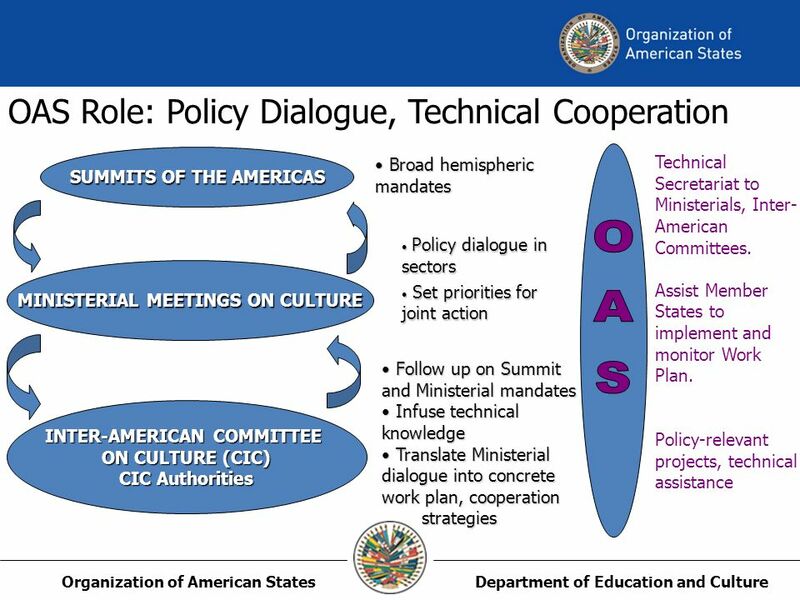 The Sixth Summit of the Americas: Results and Implementation Summits of the Americas Secretariat September 6, 2012. 1 XIX INTER-AMERICAN TRAVEL CONGRESS Department of Economic Development, Trade & Tourism Office of Tourism. 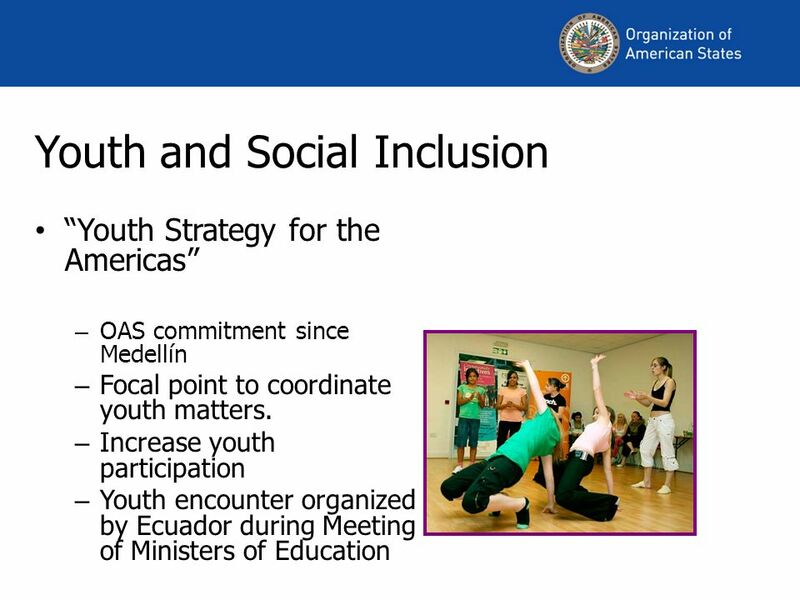 March 12, 2013 Activities undertaken to facilitate the participation of civil society organizations in the OAS Department of International Affairs.